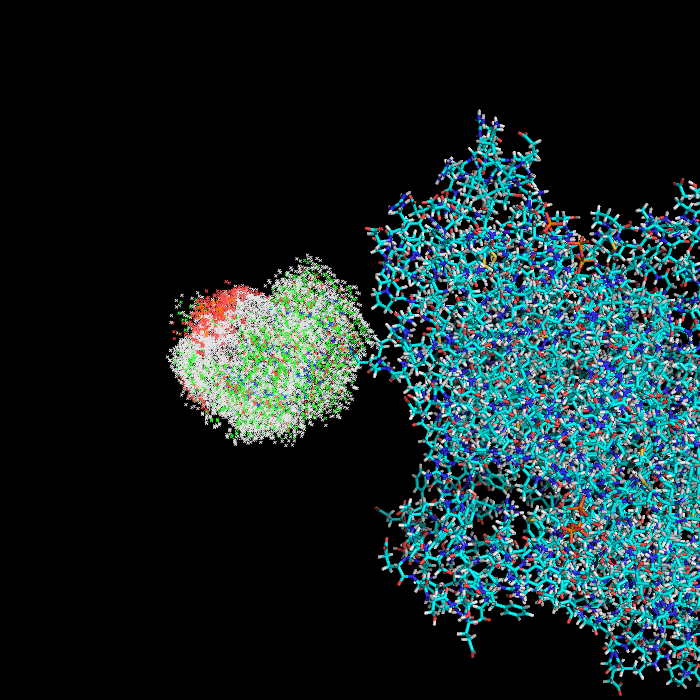 My docking results, when viewed together with the input protein structure, appear to be docked into open space. I have confirmed that the hint coordinates I supplied are correct. Another idea is that you are only displaying the backbone of your protein. If you show the sidechains and all the hydrogens, maybe the docking contacts will be more apparent. In this case, the ligand is indeed mostly docked into open space with only a handful of contacts. It seems that there should be more contacts. I've attached a PyMol image showing the "LG_conformers.pdb" (found in the output folder) together with the "protein.pdb" target (found in the input folder) for your review. The image is a bit messy because all of the conformers are in a single state, but you can see that they are not docked to the target as intimately as they should be. The ligand is a multiconformer *.sdf file generated using OpenEye's Omega toolkit. Please let me know if there is any other information that I can provide that would be helpful in getting to the root of the problem. PS: while writing this reply, it occured to me that maybe Rosetta is not seeing each individual conformer, but rather all of them together as a 'glob' and treating this glob as a single ligand. I have just started a docking run with a single conformer file to see if it docks correctly. I'll update my post with the results when the run is finished. 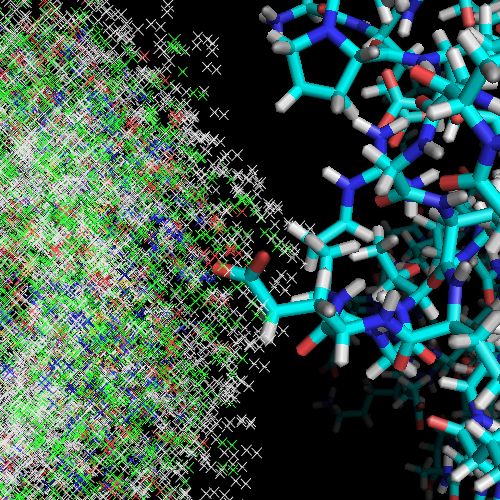 In DOCKING_IMAGE3.png above, is the ligand on the left and rendered with X's while the protein is on the right? I have never used the ligand_docking protocol, but I have used the docking2 and symmetric_docking protocols. My sense is that the docking protocols are fairly sensitive to the initial positions and conformations you give it. If you rearrange the objects you want to dock and then do another run, you can sometimes get better results. The docking protocols may also use random numbers, so doing several runs with the exact same starting positions and conformations can give a range of results. Is it possible to use the output from one run as the input for a second run? Perhaps the second run will do better. Have you read the documentation for ligand_docking at http://rosie.rosettacommons.org/ligand_docking and http://rosie.rosettacommons.org/ligand_docking/documentation ? Have you read the articles listed on each of these pages? You can often get better answers by sending e-mails to the authors listed in these articles or on these web pages. You should refer these authors to your post here so they can post answers here that will help other users who have similar questions. Another suggestion is to look for similar questions in the other Rosetta Forums. Also, if you examine the output files from the ligand_docking protocol, you might find Rosetta code. Perhaps you can use keywords from this Rosetta code to find Rosetta documentation that will help you. The test docking run using a single conformer file that I mentioned at the end of my last reply gave similar results, but this time the ligand was around 20 A away from the target. Thanks for those great tips. I will give them a try and update this post. The ligand conformers input is not necessarily in the location where the ligand is -- Rosetta will translate/rotate the conformers onto the ligand in its docked position when it does the conformer sampling. Also, it's a known issue that PyMol smashes all the confomer output together into a single structure. Rosetta still should be able to recognize that they're separate conformers. Could you link to an example of one of your docking runs? If I can get a look at what your input and results look like, I might be able to say something further on what's going on.